We love books around our house. Picture books, chapter books, read aloud books, and audiobooks. I wanted to share a few of our favorite children’s audiobooks. My girls, who are 7 and 4 years old, will listen to these stories time and time again. And here’s the clincher – so will I! Usually the audiobooks come out when momma just has to get some chores done, which means I will often be listening to them too. And I guess I’m kind of picky about audiobooks. My kids would love to sit around listening to Magic Tree House stories all day long, but not I! So here are a few of our favorites that pass both the kid test, AND the momma test. These are all great stories narrated by fabulous readers. I hope you enjoy them as much as we do! 2. How to Train Your Dragon, written by Cressida Cowell, narrated by David Tennant… and all the others in this series! 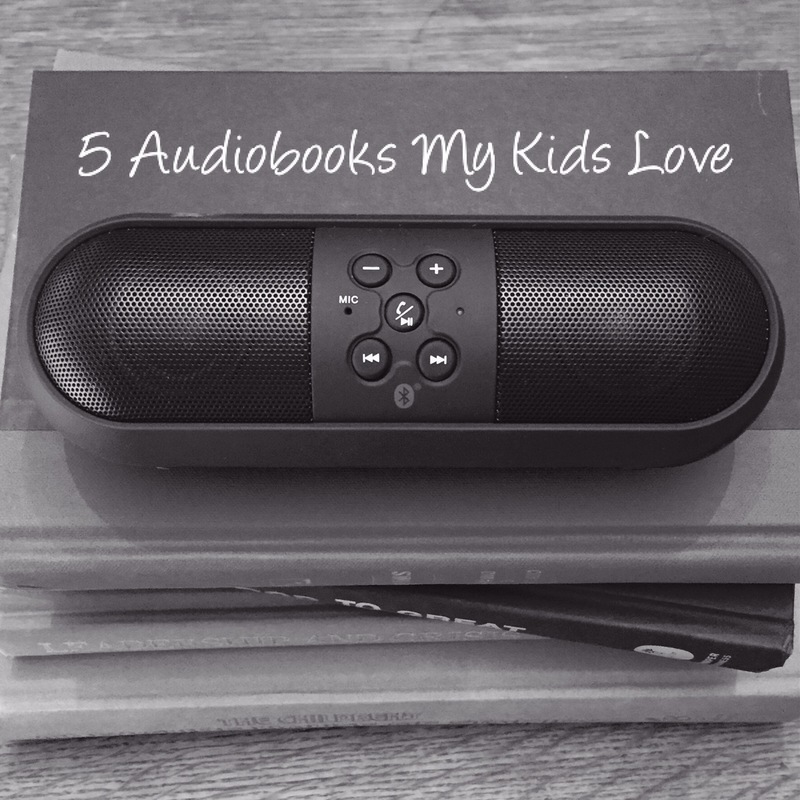 Do you you and your kids love listening to audiobooks? If you do, leave a comment and let me know which ones. We’re always listening!